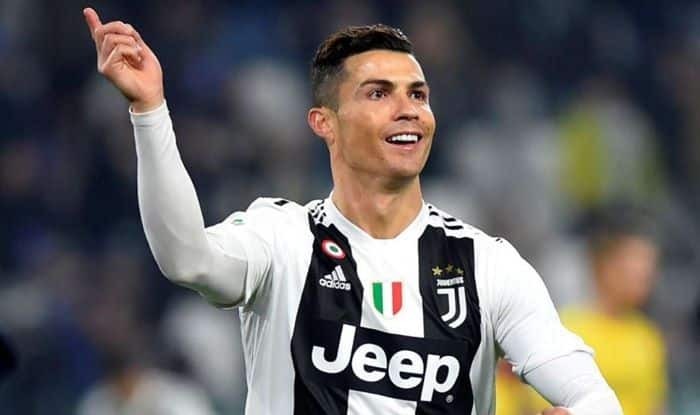 Juventus forward Cristiano Ronaldo will be available for the club's outing against Ajax as he confirms he will be available in one or two weeks. Amidst injury scare, Juventus forward Cristiano Ronaldo — who pulled his hamstring during Portugal’s 1-1 draw against Serbia — has cleared the air of speculation which suggested that he could face a lengthy time on the sidelines by saying that he will return to action within a week or two. Ronaldo’s two outings in the recent international break did not play out in his favour as he failed to find the back of the net in the first match against Ukraine, which ended in a goalless draw and stumbled off the second match after the half-hour mark. Dusan Tadic opened the scoring for Serbia which was matched by Portugal’s Danilo Pereira. This news comes as a major relief for Juventus, who will face Dutch outfit Ajax on the 10th of April. Prior to that, the Italian giants also have three matches in the Serie A. The latter, however, won’t be as problematic for the Allegri-coached side as the team have maintained a comfortable lead at the top of the table. Ronaldo has played a vital role in aiding Juventus to the quarterfinals of the Champions League. In a heroic display, the former Real-Madrid player netted a stunning hat-trick to defeat Athletico Madrid to overcome a 2-0 first leg deficit. In what was as inspirational display, Ajax sealed a quarter-final spot by stunning Ronaldo’s former club, Real Madrid, beating them 4-1 in the second leg. Juventus will take to the field against Ajax on April 10 in the first leg in Amsterdam before returning to Turin for the second leg six days later.